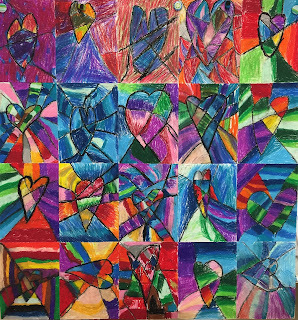 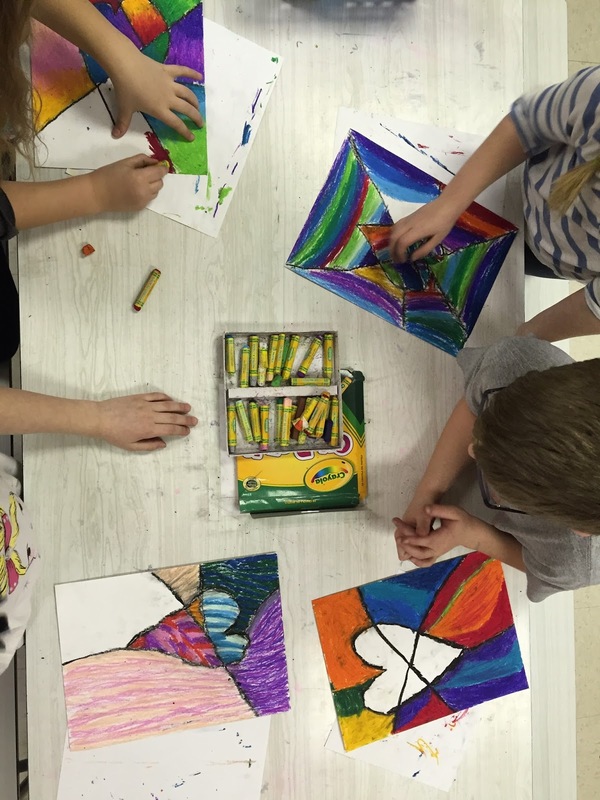 Second graders learned about Jim Dine's art that features hearts. 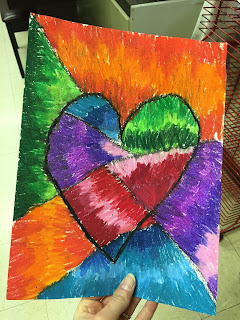 We talked about symbolism. A heart represents love, so we are going to spread a little love around with our display! 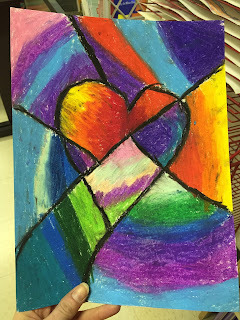 Students learned that oil pastels are the right tool for the job because of their blendibility. 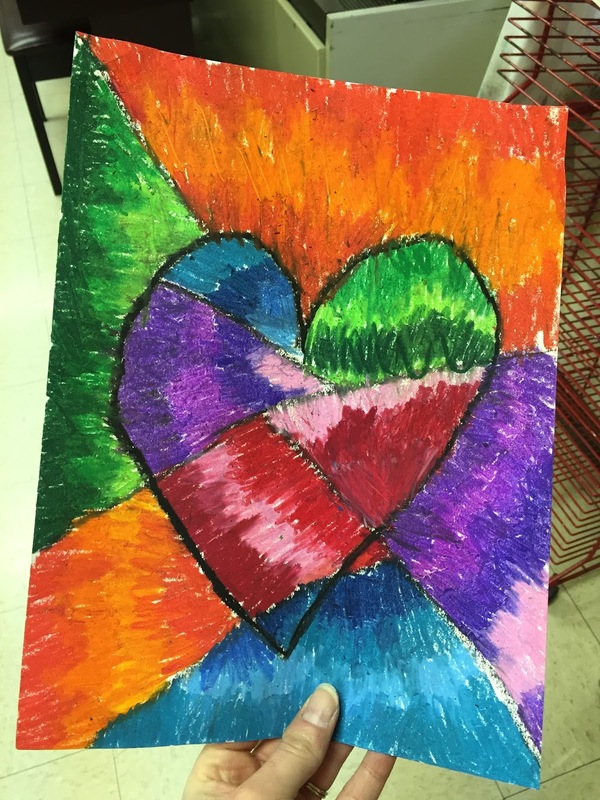 They were instructed to overlap colors and to choose colors carefully. Using the color wheel, they chose colors that are related to blend. 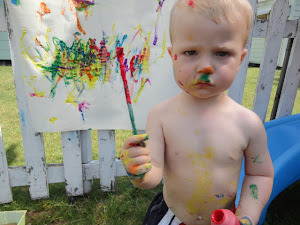 I told them to think ahead about what they wanted the overall picture to look like when choosing colors. Students loved this project because of the medium and because of the success they found.